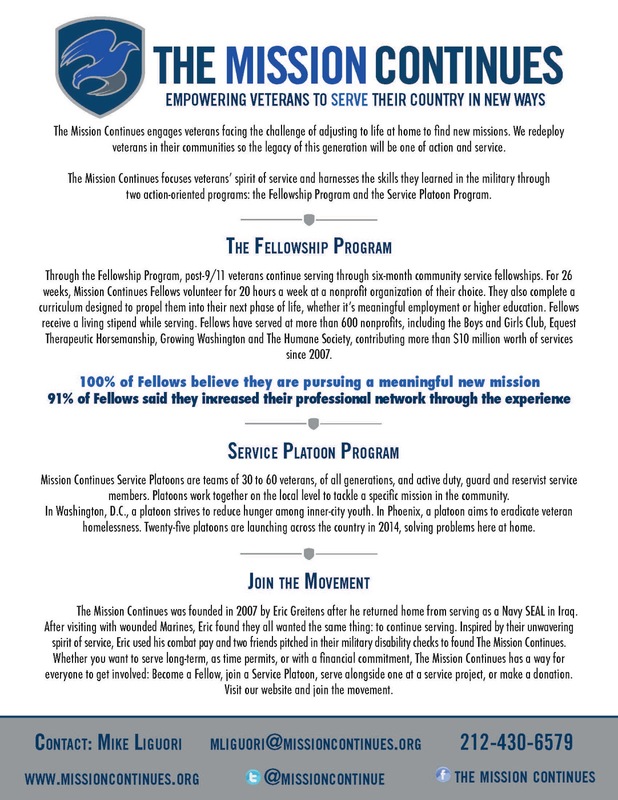 The Mission Continues Fellowship Program is looking for interested, available and quality student veterans to apply to their fellowship program for their upcoming cohort. A flyer has been attached. Please feel free to share this information with any student veteran who you feel may be interested.